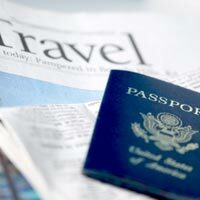 Goodwill Holidays can assist you with any type of Visa such as business Visa, tourist Visa, student Visa etc. Goodwill Holidays is a well-known travel company located in New Delhi and offers reliable and affordable Passport & Visa Services. Our services include helping clients in filling applications, providing consultations on supporting documentations, attestation, and obtaining appointment for submitting applications, etc. We also assist clients by providing step-by-guidance for clearing the Visa interviews and also offer assistance for renewing passports and Visas.